Economics in baseball has always been a hot button topic among fans and non-fans of baseball. Disclaimer: I decided to take it easy on the guy pictured above and not list him! Fans of the game usually say “I can’t believe he’s making “x” amount of dollars, the guys a bum!” Non-fans of the game, or fans primarily of other sports look at the economics of baseball as something of a joke. They rage when a guy like Tom Brady who, for all intents and purposes, is the best quarterback in the NFL today makes less than the third starter on the Philadelphia Phillies. While I won’t tell someone how much they should make, I know a bad contract when I see one. That’s why I’m here to give you 2012’s top-five worst contracts heading into the season. These are the contracts executives of teams would do anything to get rid of. Carlos Lee, Houston Astros, Contract: 6-yr $100 million/ 2012 Salary: $18 million: This one hurts my heart a bit. I lived in Panama for two years, I know what this guy means to young players developing in that country. Especially as a hitter because the last great Panamanian hitter was the Rod Carew before him. This contract seemed like a great idea at the time with the Astros coming off a disappointing follow-up to their World Series run in 2005, 2007 was supposed to be the year Carlos lee picked up the offensive slack Jeff Bagwell had long carried. While he got off to a rousing start (averaging 29 HR, 107 RBI, and a .305 BA) his weight, which has been creeping ever closer to his career batting average, started becoming an issue. So did the fact that his production every year since the start of his contract slipped to the point where he hit .246 in 2010. The Astros since the start of this contract (which they’ve paid him $19 million annually since 2009) back in 2007 have yet to make a playoff appearance or finish higher than third in their division. Lee, for his part, produced very nice numbers from 2006-2009 but has regressed considerably since and even switched to first base because of the defensive erosion that has taken place from an already less than stellar outfielder. He’s made one All-Star team (2007) which came in the same year he grounded into the most double plays. His OPS+ has been above 140 just once in his career and he’s made more since 2006 than Albert Pujols. By now I’m sure you know what Pujols’ exploits have been since 2006. Derek Jeter/Alex Rodriguez/Mark Teixeira, New York Yankees, Contracts: Jeter-3-yr $51 million, Rodriguez-10-yr $275 million, Teixeira-8-yr $180 million/ ’12 Salaries (combined): $67.5 million: I don’t think its a secret the Yankees can spend like no one else can. It also, then, should come as no surprise that because of the contracts to Rodriguez, Teixeira, and Jeter the Yankees may not be able to afford some very important players coming into contract years. With the recent news that Hal Steinbrenner wants to cut payroll down to $189 million by 2014 the Yankees may not be participants on this list for too much longer. For the time being, though, they are and in a big way. It’s easy to point out the contracts size and think “no one deserves that much” but these three are pushing it. Starting with Rodriguez who last season battled some injuries his numbers dipped tremendously across the board (16/62/.276) and he isn’t getting any younger as he’s signed through 2017 at $20 million/yr. Teixeira has the benefit of “youth” among this trio but even he is coming up on 32. Last season his power numbers (39 HR, 111 RBI) remained stellar but his average (.248), OBP (.341), and OPS (.835) were the lowest since his rookie season. Then there is the captain. The Yankees were involved in a messy contract situation with him because of who he was. Granted, Jeter has done more for the modern-day Yankee’s dynasty than anyone (I say that fully aware of Rivera’s contributions). But at 38, Jeter is not a $16 million dollar a year player. He had a nice rebound after starting the season in such rough fashion (1st half-.270, 2nd half-.327) but I can’t justify paying that kind of money when you’re getting truly elite production on the other side of the bag. Chase Utley, Philadelphia Phillies, Contract: 7-yrs $85 million, 2012 Salary: $15 million: I’m going to get crucified for this pick. But hear me out. Utley is one of the finest second basemen in the game. He is a guy that when he signed it initially back in 2006 I thought it was completely justified. Alas, it’s 2012, and Chase Utley is still uncertain when he will get back on a baseball diamond let alone playing at an elite level. The last two years he has averaged 109 games and hasn’t come close to his pre-injury production between 2006-2009 (30/100/.303). He’s a guy who goes out and gives it his all for the Phillies every game, unfortunately his inability to play regularly the last two years makes this a contract to forget in 2012. 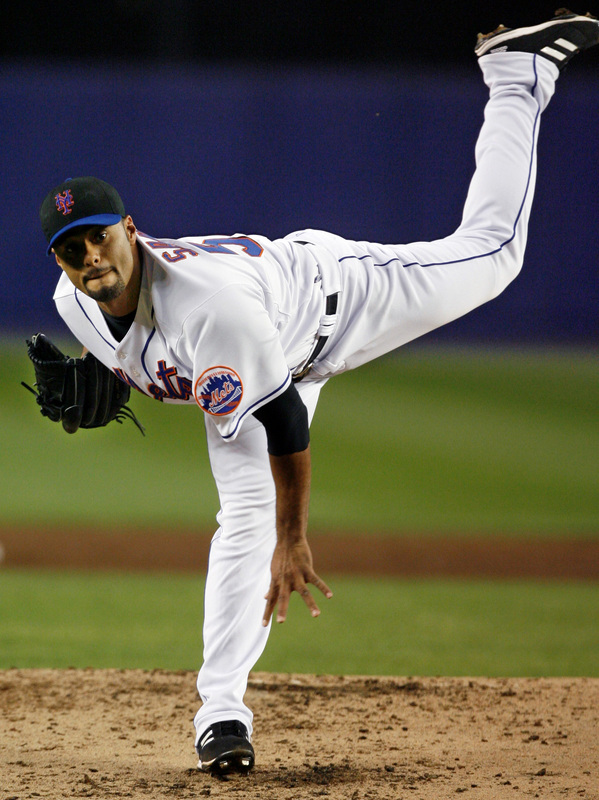 Johan Santana, New York Mets, Contract: 6-yrs $137.5 million, 2012 Salary: $24 million: Another star player bit hard by the injury bug, Santana last pitched in the majors in 2010. Realistically he hasn’t pitched to his contract since he’s arrived in New York right at the peak of his powers. So for him to be injured on top of that makes matters all the more frustrating for the now cash-strapped Mets. Although Santana is back on the mound this spring, and reports are coming in of his increasing velocity, his effort would have to be herculean to justify making as much as Albert Pujols and Brian McCann combined in 2012. I just don’t see that coming. Vernon Wells, Los Angeles Angels, Contract: 7-yrs $126 million, 2012 Salary: $21 million: I don’t blame the Angels for this contract (see: Blue Jays, Toronto), I blame them for taking it on. Wells hasn’t put up elite numbers consistently since the years 2002-2006. Ironically enough the same off-season he signed a contract that, at the time, looked like a great deal. He was young, coming off another All-Star/Gold Glove season and entering his prime. Then the wheels fell off. It could have been the mammoth pressure to perform to the standards of the contract. He’s shown some signs of life since coming over to the Angels, but $21 million coming off a season in which he hit .216, got on base at a .248 clip, and had an OPS of .660 (OPS+ 83) is something I can’t wrap my mind around. This list obviously could have included Barry Zito ($19 million), Ryan Howard ($20 million), Jake Peavy ($17 million) and a host of others who will be an albatross to their teams payrolls. For now, our attention will focus on those top five going into 2012 to see how/if they can bounce back and remind us why they’re paid so handsomely.